This interview is part of our ongoing commitment to engage in conversation with industry leaders who are shifting towards zero-emission. Trillium is one of the nation’s leading providers of alternative fuels systems and renewable fuels. Their focus is on delivering growth, scalability, and efficiency for fleets using various types of alternative fuels. Trillium is part of the Love’s Travel Stops Family of Companies. Trillium offers alternative fuel solutions, including compressed natural gas, hydrogen fueling, and more. Trillium can operate, maintain, design, and develop different types of stations.Their services are available across four market segments: transit, municipal fleets, refuse trucks, and Class-8 trucks. 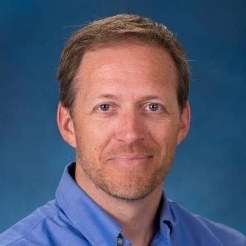 Ryan Erickson, Trillium’s General Manager of Strategic Development, spoke with us about his views on trends relating to hydrogen as an energy source, the most urgent challenges around infrastructure, as well as key future developments. Why is hydrogen important for Trillium? We have a history of working with compressed natural gas fueling stations. We continue to focus on the advanced alternative fuels. More specifically, we’re focusing on fuels for heavy-duty vehicle markets, for example, transit, municipal fleets, refuse trucks, and Class 8 over-the-road trucks. We see hydrogen as one of many logical solutions for servicing those markets. Are there some trends in the industry pertaining to zero-emission and heavy duty trucks that Trillium is aware of? Our focus on zero-emission started off in California specifically, where there has been a lot of focus on zero-emission buses and trucks, such as with AC Transit and SunLine. We soon realized that SARTA in Ohio, Flint MTA in Michigan, Champaign-Urbana MTD in Illinois, and others also had fuel cell electric buses. We also noted the popularity of fuel cell buses in Europe and the BC Transit experience in British Columbia. So we do feel that there’s a trend towards zero-emission vehicle technologies. Trillium is currently looking at all zero-emission fueling technologies including battery charging infrastructure. What is the current involvement of Trillium in hydrogen fueling solutions for heavy duty vehicles? We were chosen to provide the first hydrogen fueling station for the Orange County Transportation Authority in Southern California. 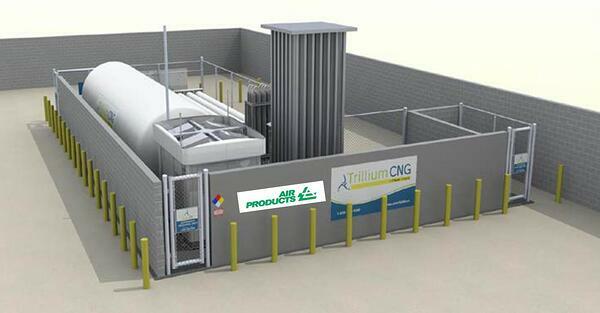 That was our first foray into designing and developing hydrogen fuel stations in partnership with Air Products. We believe that we have the best team and solution for what OCTA needs. These may be the first hydrogen fueling stations that are planned around growth and normal business practices. This means that OCTA will be able to fuel multiple buses simultaneously in five-to-ten minutes each, and up to 50 to 100 buses per day. With modest upgrades, OCTA will be able to fuel up to 200 buses at their existing bus base. What are the challenges for the adoption of hydrogen technology? Do you see any urgent challenges that should be solved first? When it comes to hydrogen, I think technologically it’s already there. If somebody came to me today and said they want to fuel 150 buses every night at any of their properties, I know that I can provide them with a solution within 12 months. The real problem is more about the cost, how it compares to the incumbent fuel being used by the fleet today, and whether it's something that they're ready to pay for. A hydrogen fueling station that can fuel 200 buses per evening would cost a little more than a similar CNG station. However, the cost of the hydrogen dispensed would be higher than CNG dispensed today based on several factors. However, the industry is working on several technological solutions that I expect will help lower the cost of hydrogen in the future. That said, currently there are hydrogen solutions available today for just about any fleet. Is there enough hydrogen supply to meet the growth expectations you are seeing? Hydrogen can be produced in a couple of ways, the most common of which is steam reforming using natural gas as the feedstock. Where renewable natural gas is used, this improves the carbon footprint of the fuel, in addition to zero-emissions coming from the tailpipe. The U.S. has enough natural gas to power the country well into the future, so there’s ample feedstock for hydrogen. Electrolysis, another hydrogen production technology that uses water as a feedstock, is becoming more common as fleets seek a more sustainable supply of fuel. With abundant supplies of both water and natural gas, we don’t see any production concerns where there is a demand for the product. What is a long term vision of Trillium and the Love's Family of Companies with regard to hydrogen and mobility? We want to provide fueling solutions to our customers. If you look at Love's, they provide a lot more than just fuel. They provide roadside hospitality services which include hotel services, light mechanical services, tire care, and many other services. Trillium is positioned as the alternative fuels provider for the Love’s Family of Companies, which we take great pride in delivering. With this in mind, we want to provide solutions related to transportation infrastructure that fit the needs of our customers. Whether they are transit agencies, refuse haulers, or trucking companies. We think that hydrogen is one solution for the industries that are committed to providing zero-emissions solutions. What is the basis of Trillium’s business model? Are organizations recognizing the need or are you going out and proposing these solutions? I think it's both. I can't get into a lot of specifics, but we’re in communication with several transit agencies, the ports, bus OEMs, and trucking companies about hydrogen fuel cells and the infrastructure that would be required to build a hydrogen fueling network. We think there will be a big market for hydrogen fuel cell vehicles, well into the future, with great potential for efficient and cost-effective hydrogen production and refueling. We see greener ways to produce hydrogen, whether solar or wind powering electrolysis, or steam methane reformation of renewable natural gas from dairy farms, wastewater treatment plants, or landfills. We think the entire process of producing hydrogen is going to go completely green and support zero-emissions technology for years to come.